Abigail’s corporate clients have little or no time to attend photographic studios. They are interested in fast turnarounds. Therefore, she comes to you – bringing her studio to your office. She shoots quickly and efficiently in order to minimize disruption time for employees, while still making them feel comfortable with the experience. Abigail understands that the corporate image, presentations and public relations are a central part of every company and will always ensure to capture the right corporate image for your social event or annual report. View corporate portaits gallery. Abigail has extensive experience in media & PR photography and will provide your images immediately after your event or occasion ready for your press releases, announcements and communications. View media & PR gallery. Abigail has been a very successful property photographer for several real estate agents in Perth since 2004. She can make even the most ordinary property look good without making it unreal as potential clients don’t want to be disappointed when they see the actual property! The idea is to spark interest so people will check it out. Staging and decluttering is part of the process that she can advise on. Pam Herron, director of Beaufort Realty says she has a very good eye for creating some magic that other photographers often don’t achieve. View real estate gallery. Photographing for an architect is exacting work. It is quite different to photographing for a real estate agent. Lines, perspective and natural light are of utmost importance and Abigail realises this and adapts her style accordingly. View architecture gallery. Abigail has been photographing for several commercial real estate companies for the past ten years. Often the properties are offices with warehouses attached and with so much experience, she knows exactly what needs photographing. 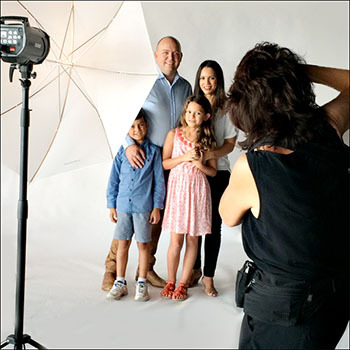 She organises the time to photograph with the client direct. Images requested are usually shot and received the same day. View commercial property gallery. Abigail is ready and available for your next mining or industrial photo shoot. Location is not a problem. She has photographed mining and industrial sites all over Australia. Past clients include Rio Tinto, Mineral Resources, and John Holland. View mining and industrial gallery. Abigail has undertaken construction progress photography for companies all over Australia – including Doric, Jaxon Construction, and John Holland. From a two hour shoot to fully documenting a project over months, she is committed to understanding all the details of your project and then telling your story in a visually interesting way. View construction gallery. Having covered grand corporate balls and corporate Christmas parties all the way to high level political conferences, Abigail realizes that a lot of time, energy and money goes into creating a perfect event and you only get one chance to capture it. Abigail’s style is relaxed but professional. Her wish is not to rule the bride’s day but instead to capture the event and magic moments as they unfold. View wedding gallery. Abigail offers a wide range of other photography services from image manipulation to fine art and photographing of paintings. Contact her today on 0417 874 619 or email abigail@abigailharman.com to discuss your photographic needs.